Moving to Brockley, SE4 | Moving Services - Call Us Today! Moving to a new house or office can be a very stressful, not to mention time consuming task! Even more so if you are moving to a completely new area, with all the extra work this may involve. If you are moving to Brockley, SE4 and would like a dependable, affordable and experienced removals company then help is at hand with Moving Service. Our team of knowledgeable and well trained staff are on hand to assist you in your removal needs and to answer any questions you may have. 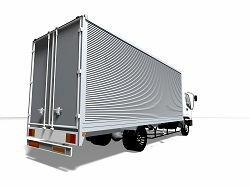 Perhaps you require a man with a van for a smaller move such as student housing, or maybe you need to hire a van or a lorry for your office move? Whatever your removal needs, our company has everything you will need to ensure you experience an easy, fuss free move, helping you to get on with enjoying your new home. If this sounds good to you, and you would like some helpful moving tips (and even a free quote) why not give us a call today on 020 8746 4402? The area is in South East London, under the London Borough of Lewisham. 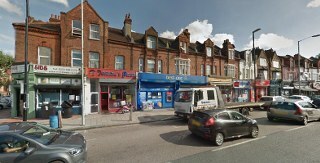 It predominantly covers the postcode districts of SE4, with smaller parts of the town being covered by SE14 and SE8. It is well connected to other areas of London, being five miles away from Charing Cross. It is served by the London Over ground with trains running to Central London mainline stations London Bridge and Victoria every five minutes at peak times, with a journey time of fifteen minutes. A 24 hour bus route runs into Central London should you have a late night out. The town houses grand Victorian and Gothic housing. The area has a thriving arts scene, close to the prestigious Camberwell School of Arts and home to many local artists, many of whom belong to the Brockley Society which is dedicated to retaining the Victorian Conversation area of north Brockley. The area has some wonderful examples of religious architecture, including the Grade II listed St. Hilda's which was designed in the style of the Arts and Crafts movement. There are several large green open spaces within the area, including Blythe Hill, making this area perfect for summer days out with your family. Whatever you reason for moving to Brockley, SE4 be it for your family or your business, be sure you have made a good choice! However, all house or office moves can cause upheaval in life, so it is important to make sure that the move process is as easy as possible. Moving Service is ready and waiting to provide a helping hand to help you achieve this. We can assist you with services including a man with a van, removal vehicles, or even a professional mover to assist you. Storage units in Brockley are also available if they are required. Our company can also offer packaging materials to help and aid you in your move, we can even offer to clear the materials away once they are no longer needed. Need some advice on the moving process? We have it covered! Our removals service website contains handy hints and tips that will undoubtedly help your moving process. Alternatively, feel free to get in touch with us and we will happily share our experience and help you plan and prepare for your move. We can tell you about all our removal services and make them fit your requirements. So, do not hesitate to give us a call today on 020 8746 4402 for a free quote! After experiencing several bad movers in SE4, the idea to actually hire anyone to touch my belongings made me apprehensive. But they gave me peace of mind by explaining the procedures they'd use, and had no issue with me hanging around, looking over their shoulders. What can I say? Great removals experts!